Denmark officially the Kingdom of Denmark is a Nordic country and the southernmost of the Scandinavian nations. Denmark is considered to be one of the most economically and socially developed countries in the world. Danes enjoy a high standard of living and the country ranks highly in some metrics of national performance, including education, health care, protection of civil liberties, democratic governance, prosperity, and human development. The country ranks as having the world's highest social mobility, a high level of income equality, is among the countries with the lowest perceived levels of corruption in the world, the eleventh-most developed in the world, has one of the world's highest per capita incomes, and one of the world's highest personal income tax rates. 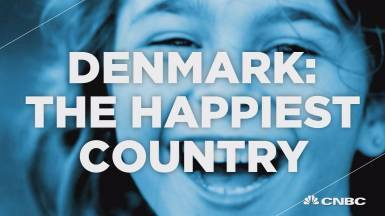 Denmark was voted the happiest country in the world in April 2016, via the World Happiness Report. To rank the 156 surveyed countries, a team from the University of British Columbia looked at what the countries have in common: a large GDP per capita, healthy life expectancy at birth, and a lack of corruption in leadership. Denmark's results revealed a high percentage of gender equality and residents who love to bike. This contributes to the wellness of the people and the environment. Denmark is a gold mine for students wishing to study history, anthropology, geography, the social sciences, and many more. It boasts an abundance of historical sites and museums, which showcase thousands of years of culture and tradition of the Nordic people. The general atmosphere in Denmark is important for potential international students because relocating to a new country can be quite stressful, especially for young people. This is why the learning environment (as well as the place where you are living) influences your attitude towards your field, studies and, ultimately, your chosen career path. This means that making the right choice can give you a moral boost, while making a mistake can bring setbacks and long-term difficulties in your profession. It is not only the positive atmosphere of campuses, communities and cities in Denmark that are beneficial to students’ experience, but also the results of the social security system, the additional financial facilities and even the accessibility for international students. Denmark’s reputation as the happiest country in the world is not only the result of its politics, culture or history. It is also an effect of the open policy towards international students, who are seen by Danish lawmakers and communities as an essential part of a healthy and successful nation. The Nordic country offers free tuition, low additional education costs, high-quality curriculum and many facilities including career counselling. Get ready! Get happy! Study in Denmark!